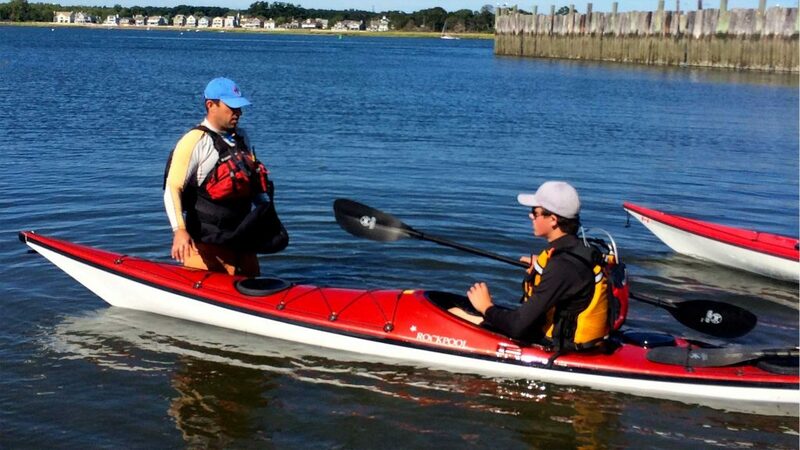 Schedule a private class with an ACA Certified Coastal Kayak Instructor. For the paddler that prefers one-on-one instruction, a private lesson is the perfect way to work through the strokes, maneuvers, and rescues needed to improve your skill set. Feel free to bring your own equipment, or have us pair you with a high-quality paddle, skirt, life jacket and sea kayak. Whether it’s improving boat control, efficiency of strokes, or learning new and fun ways to get in and out of your kayak, we will tailor the session to meet your own personal goals. For more experienced paddlers looking to work on handling a sea kayak in rough water, tidal currents, or the surf zone, this private offering can be held on the south shore of Long Island. – All equipment is included.